Small yet sturdy and stubborn; those who seek for the heavy duty small knife..
After the huge successful launch of the “Full Angkhola” series where an extra worthy effort is put in the blade unlike commoners; KHHI is inspired and demanded to make a Mini version. Therefore the outcome! “8 inch Raw Angkhola”, a pure mini sized working kukri with rough yet smooth finishing to do the roughest and toughest job; and therefore the name. The only objective of the knife is literally to cut so it has totally unpolished fittings . Small yet sturdy and stubborn, a real life cowboy’s character, this kukri is for those who seek a heavy duty small knife. A fuller or hump is crafted from tip to notch area on the surface panel of the blade to withstand the beating and impact during excessive use. The curvature will give the much needed strength and durability to the width of the blade while in use by minimizing the direct shock applied to the edge. Therefore it’s perfect for all kinds of work relating to cutting and chopping. Similarly, the handle of this knife is also made totally unpolished so it’s not slippery and thus strong grip can be maintained by the user. As well, the blade is made heavier among all its siblings so that powerful strokes/swings can be executed to get the maximum possible output. The total unpolished format also enhances the cutting ability and durability of the blade as loss of temper is prevent by avoiding the long machinery process undertaken to polish a blade. 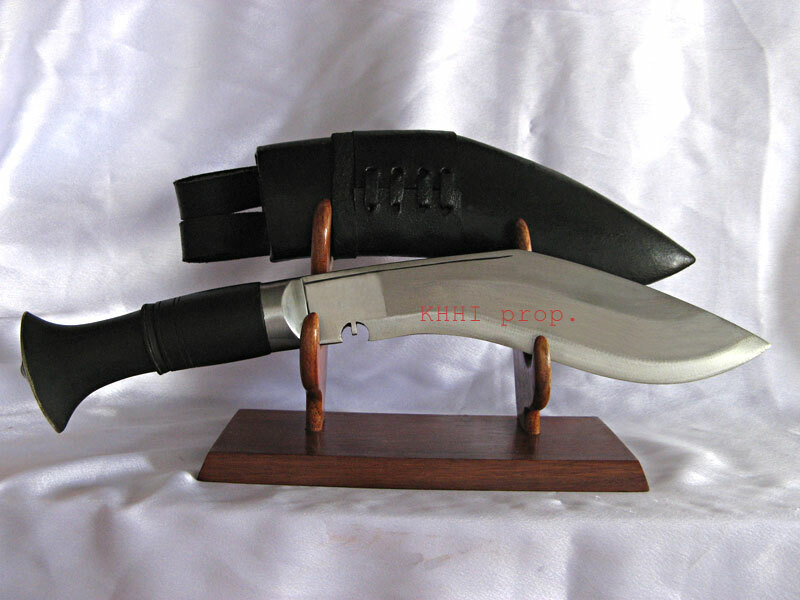 A typical khukuri sheath is included with two small accompanying knives, the KARDA (small knife) and CHAKMAK (sharpener). 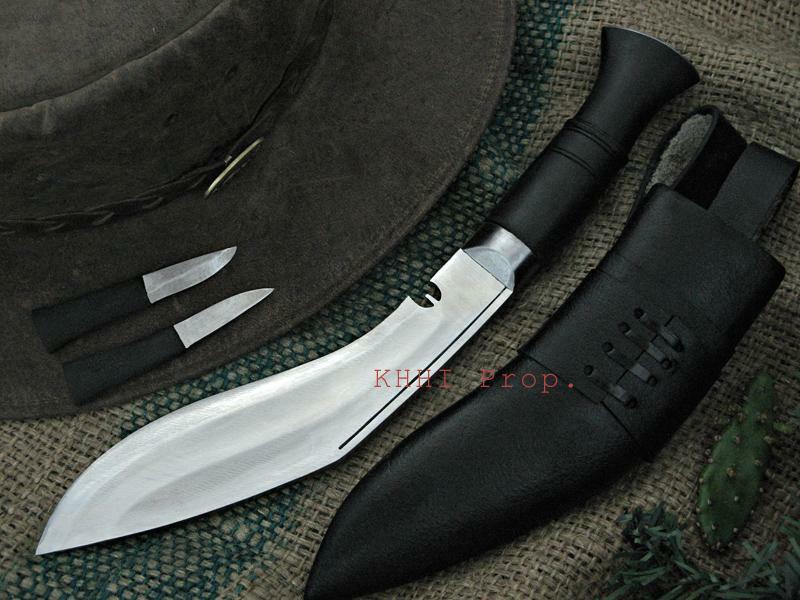 The function and purpose and character of this kukri makes it a working cowboy knife.